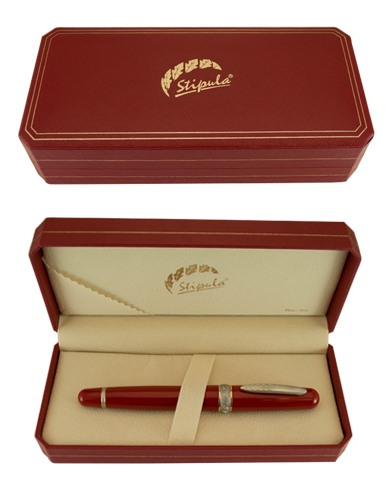 Everyone loves the Stipula Splash - and no wonder! 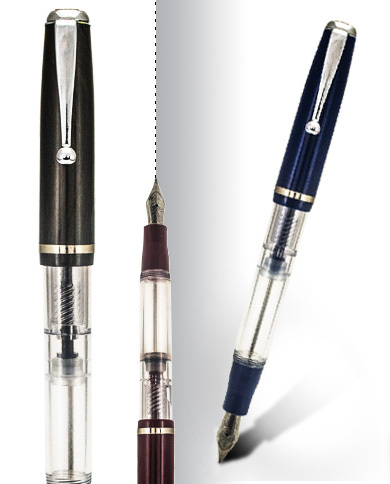 Its art déco styling, clear demonstrator barrel and extra-flexible nib is a writer's dream - at an amazing value. The steel nib offers great flexibility to produce fine, medium or broad strokes with ease. 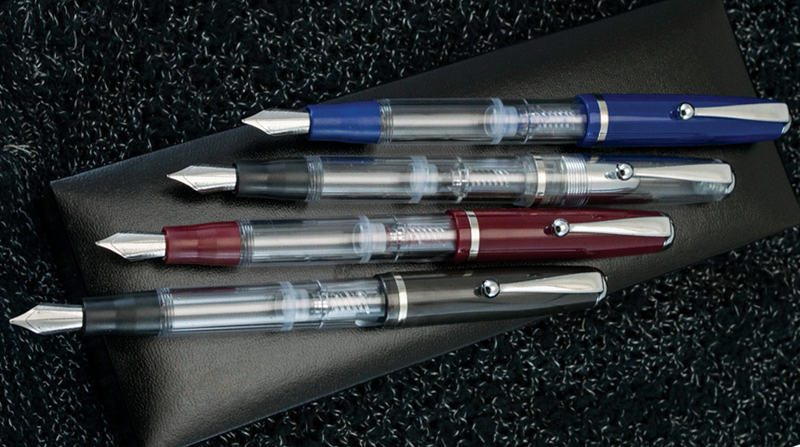 From detailed lettering to the boldest signatures, Splash will do it all with one pen! It fills via internal piston mechanism, making it a true demonstrator – you can see the ink level at all times. Splash is available in a Burgundy, Slate Grey or Blue resin cap with polished chrome fittings. Break out your favorite ink and give Splash a try! Bottle fill only.